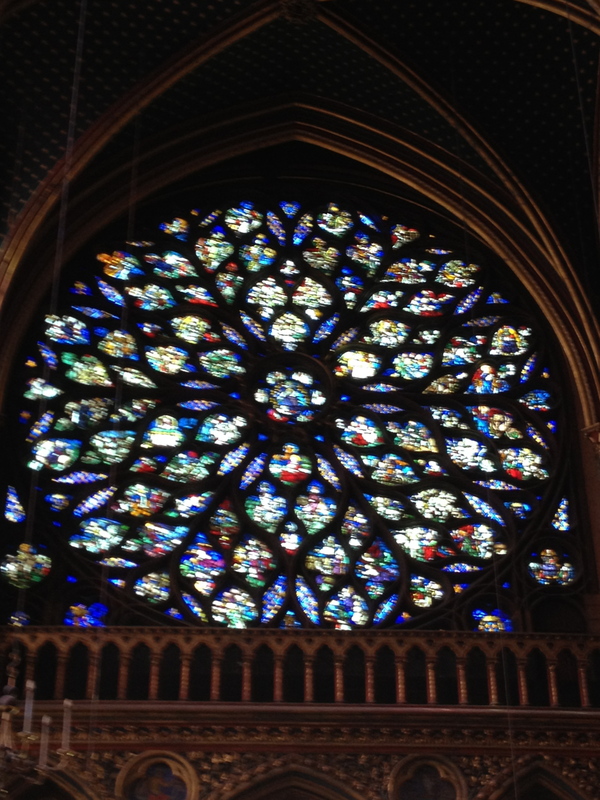 I have tried several times to see Sainte Chapelle, the lovely church that is close to but frequently overshadowed by Notre Dame. 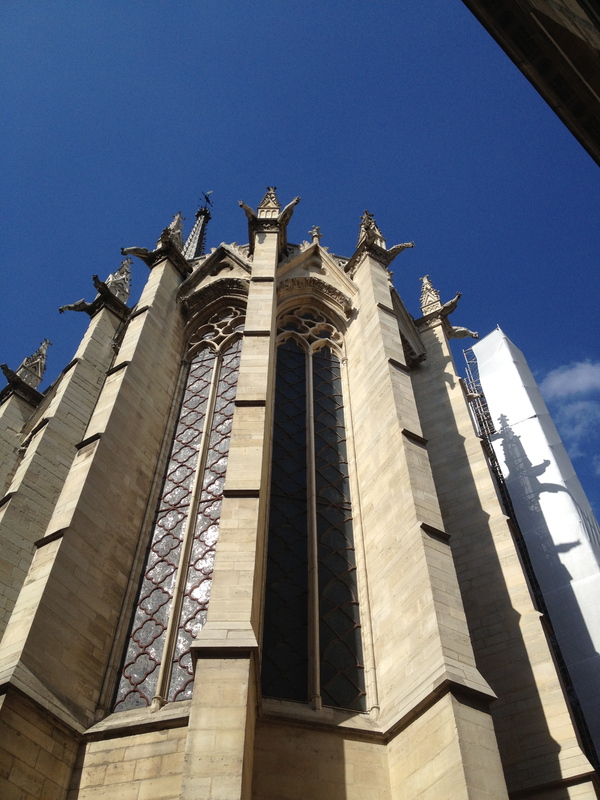 The line has always been too long or the church was closed. 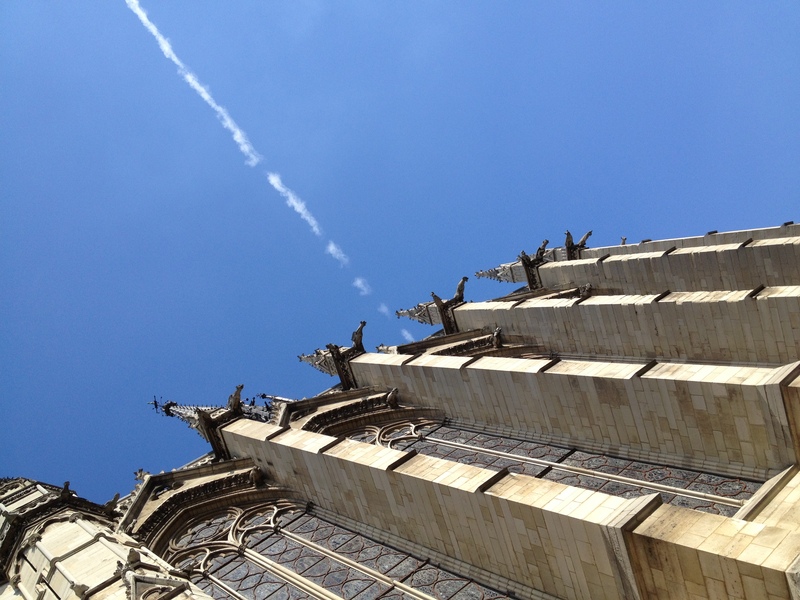 Last weekend was European Historical Days in France. On these special days each year, thousands of monuments, government buildings, and privately owned sites open their doors to give the public free rein to areas that are generally not accessible. 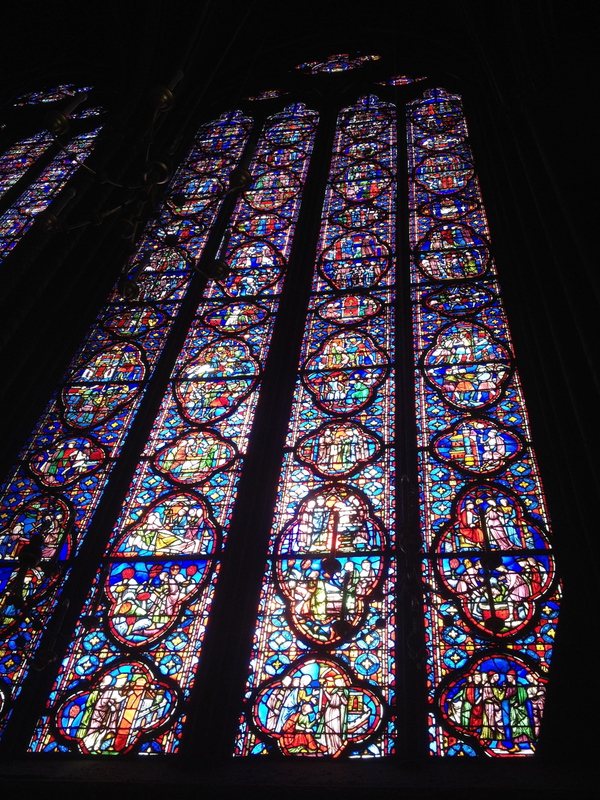 We really should have visited sites that are only open on those days, but instead we found ourselves at Sainte Chapelle when the line wasn’t long, so we went in. 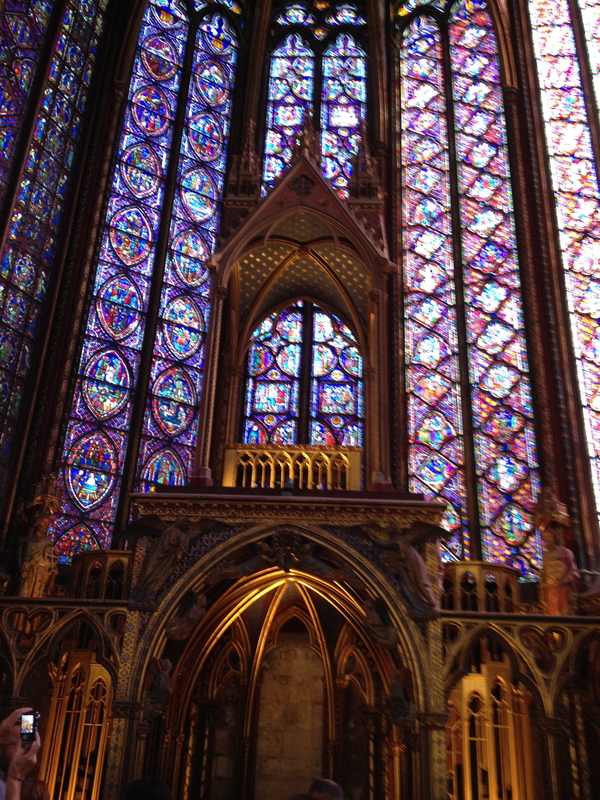 Sainte Chapelle was commissioned by King Louis IX to be his official place of worship, and was consecrated in 1248. 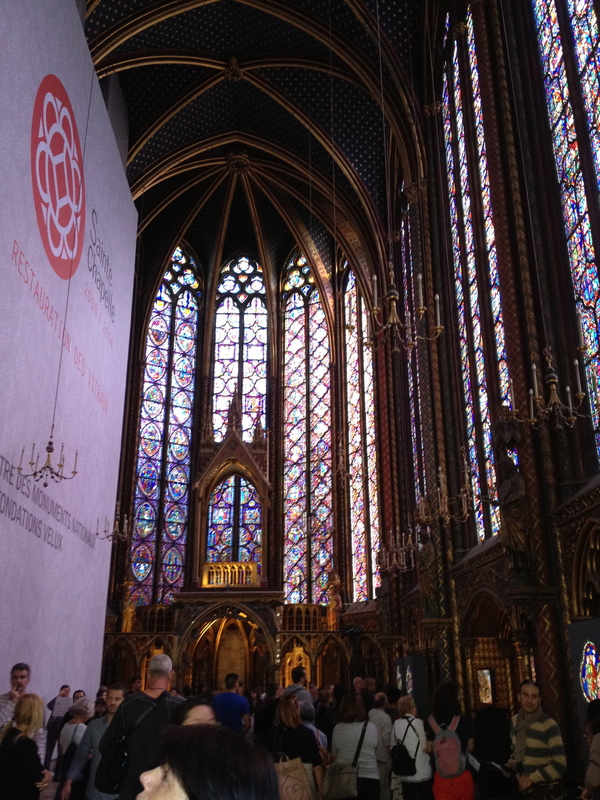 Much of today’s building has been re-built over the centuries, but most of the stained glass is original. And gorgeous. Voila. The floor is unprotected and much of the pattern has worn away. 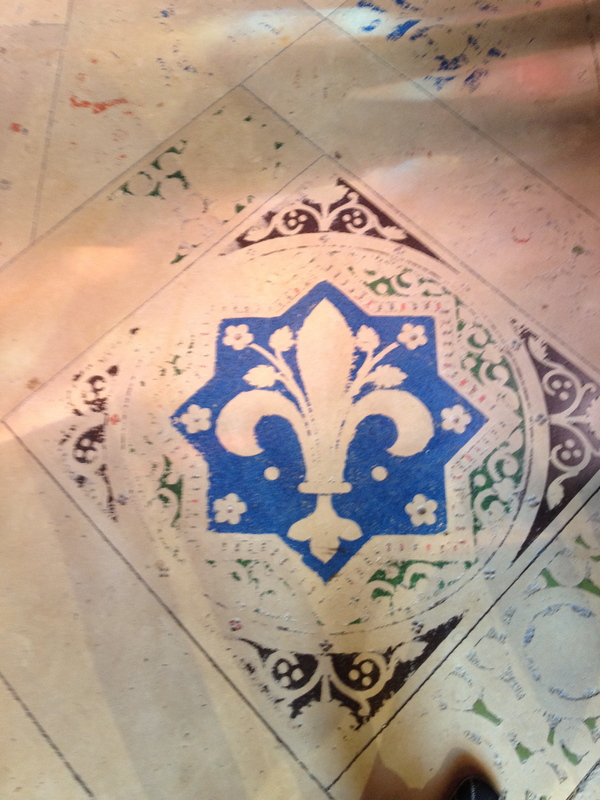 I loved this fleur-de-lis, though, which was right in the middle of the entryway and looks almost pristine. 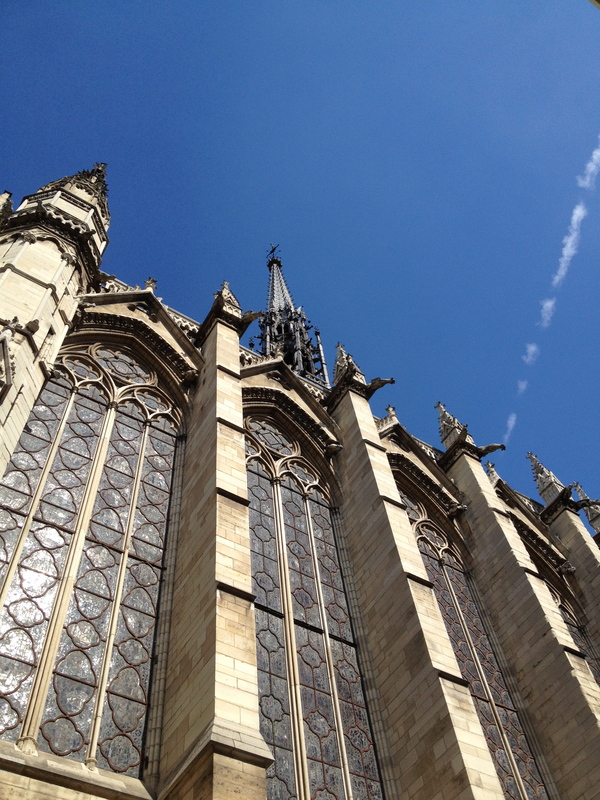 The exterior was pretty awe-inspiring, too.